as of May 4, 2018, we welcome John Kemp as sales engineer for the territory of Southern Wisconsin and South East Minnesota. John brings over 20 years of experience in the manufacturing field to the maintecx team. He has extensive knowledge in manufacturing specifically related to laser processing, bending, programming software, and process improvement. He joins our team after 16 years with Bystronic Inc. where he took on several roles including Bending Product Manager and Manager of Applications and Training. John lives in Cary, Illinois with his wife, Erin, and two children, Logan (12), and Ainsley (10). We are thrilled to have John on board! 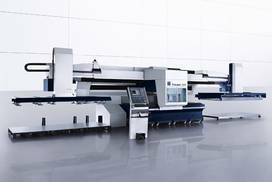 On September 12, 2017, TRUMPF INC. held on opening ceremony for their new Smart Factory in Chicago. 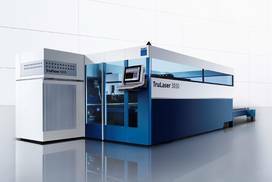 The latest release of the TRUMPF slat cleaner comes equipped with a new robust gearing and motor. An additional feature is the new maintenance LED, an intelligent monitoring system alerting you when it is time to exchange the seals on the TSC 100. The MN Chapter of the German American Chamber of Commere (GACC) held a luncheon on September 27 hosted by Saint Paul College with guest speaker Dr. Christine Benz, Training & Development Manager at TRUMPF Inc.
As of March 13, 2017, we welcome Scott Huck as a new sales engineer. Scott brings over 20 years experience in the manufacturing field to the maintecx team. He has extensive knowledge of manufacturing specifically within facilities engineering, fabrication, robot welding, topcoat finishing and lean transformation. He joins our team from Worthington Industries Engineered Cabs where he took on several roles including Manufacturing Engineer, Six Sigma Black Belt and Senior Project Engineer. He has an Industrial Engineering Degree from Montana State University. Scott’s territory covers the state of South Dakota. We are excited to have Scott on board! promise and a 5 year warranty. This promotion runs until June 30st 2017. 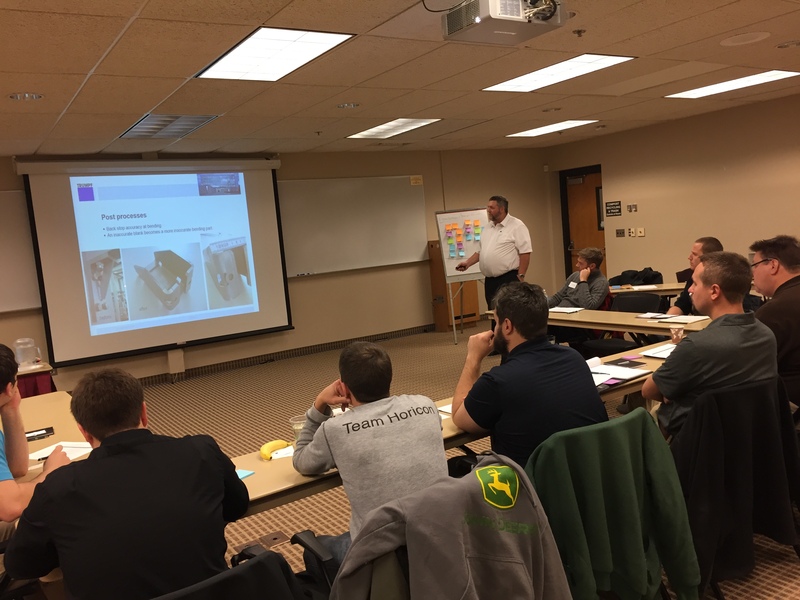 Thank you to all of our customers that took part in the Sheet Metal Design Seminar that took place on December 7 in St. Paul, MN and on December 8 in Sioux Falls, SD. 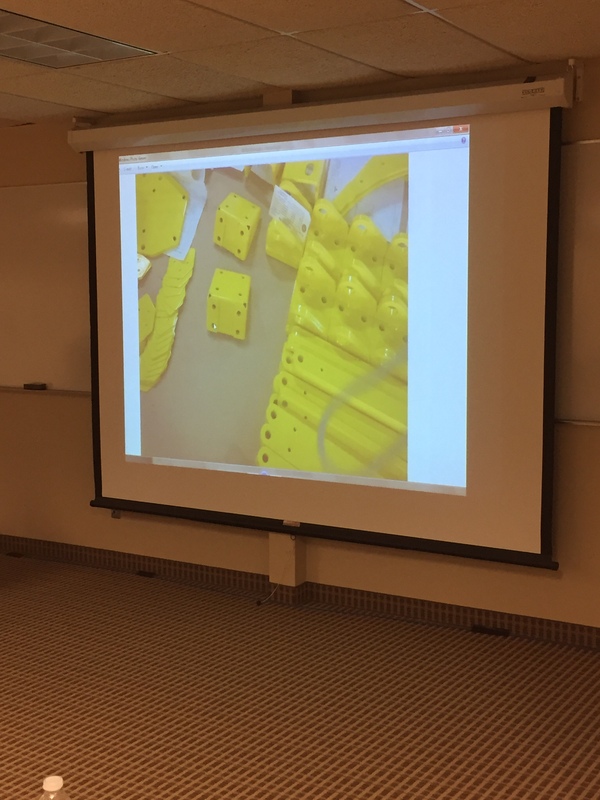 The seminar was received as a great opportunity to learn about the new techniques in laser cutting, bending, punching and laser welding. Especially helpful according to the feedback we received were the group exercises that helped to understand the bending and punching tools and their capabilities. The students also enjoyed drawing the best design for a fire grill that would make it the most efficient in mass producing it. The different array of parts that were shown and discussed was another highlight of the class. The customers gained new ideas in part design and intend to present them to their company. We are happy to have perceived such positive feedback and will offer the class again in the future. We are offering a TRUMPF power tool package that has a list price of $1,500 for $1,250! There are 2 types of packages and supply is limited. called slag is produced as a byproduct of the thermal cutting process. they often overlook the value of managing slag. 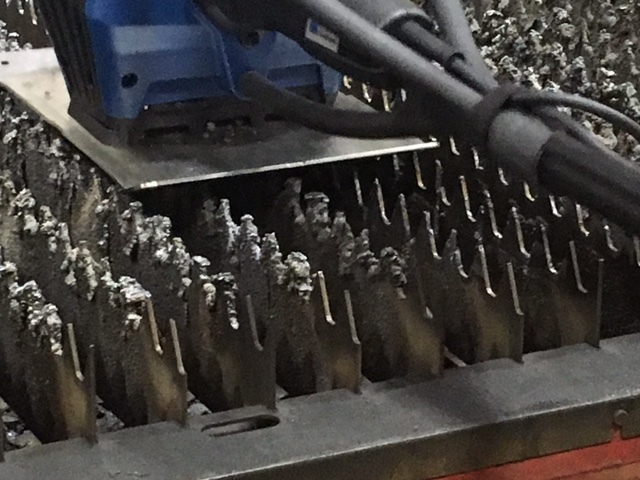 Tony Mirisola who is the product manager for power tools for TRUMPF Inc., has written an informative article on how to efficiently remove the slag. Read it by clicking here. As of February, 2016, Kent Kringlund will be handling TruServices throughout the Maintecx region. 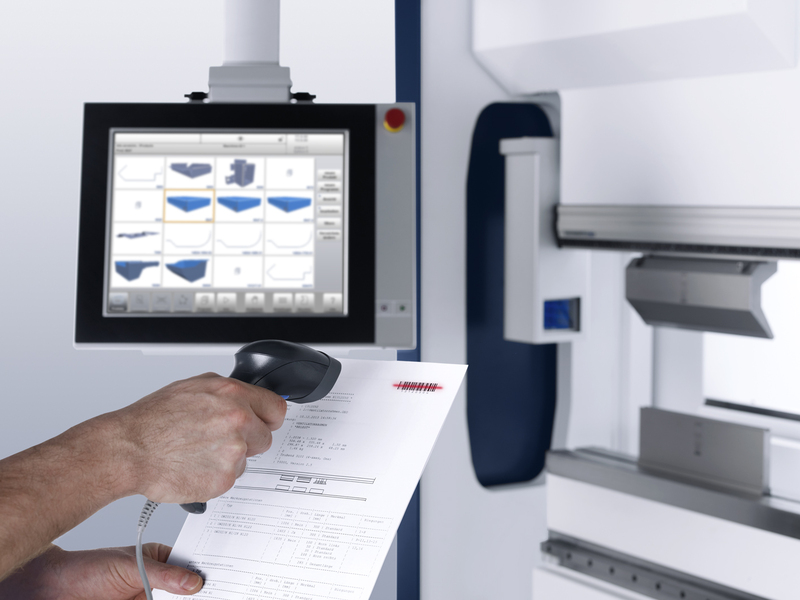 TruServices are all those things that support Trumpf machine tools – software, tooling, consumables, and service agreements. Each of these is a key component to the long term success of any machine tool. By combining special attention to all these products with our in house service technicians augmenting Trumpf’s service, Maintecx aims to raise the bar in terms of overall customer satisfaction. We congratulate Kent for his new position! As of February 8th, we welcome Dave Dehrkoop as a new sales engineer! Dave brings over 20 years experience in the manufacturing field to the maintecx team. 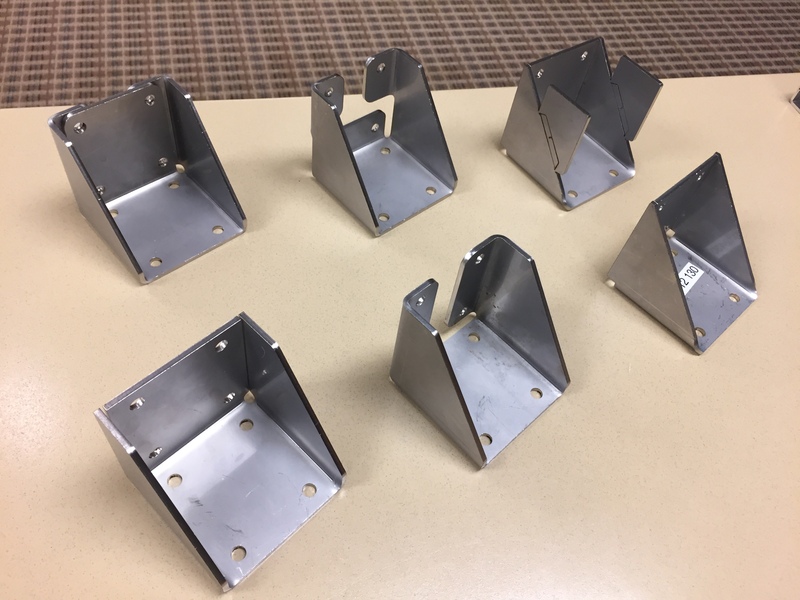 He has extensive knowledge of manufacturing and welding specifically within automation development, fabrication, tooling and fixtures, and both manual and robotic welding. He joins our team from AGCO Corporation where he took on a leadership role and served as the Chief Engineer for Manufacturing and Welding Technology and led an AGCO Global Manufacturing Technology team. He has a LEAN Certification from Kentucky University and is both a Certificated Welding Inspector and Certified Welding Educator issued by the American Society of Welding. Dave serves as the Maintecx Sales Engineer for the Minnesota and Wisconsin territories. We also welcome Paul Engle as a new field service technician! Paul started with us on March 7th and he will be performing service work mainly in the state of Wisconsin. Shop for TRUMPF’s Powertools on the maintecx online store! Maintecx has just opened its online store for TRUMPF’s power tools. Please browse these high-quality tools and move the item(s) of your choice effortlessly into the shopping card. Purchases can be made online or offline via email. After placing your order, it will be processed in real time! 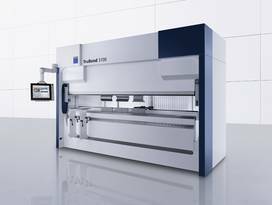 Please look at TRUMPF’s powertool promotion for this year’s Fabtech show. There are 3 different bundles/packages to purchase during the show. All three packages include TRUMPF’s DD 1010 Li-ion Drill. The list price for each package is $1,200, so it is a great deal! 2 tools for $1,200! The promotion starts on Nov. 9th and last until the end of the calendar year and is also available outside of the Fabtech show. Please check out TRUMPF’s punching tool promotion in recognition of their long standing history in punching tool manufacturing in the United States. Contact your local sales representative or call our office for more details. 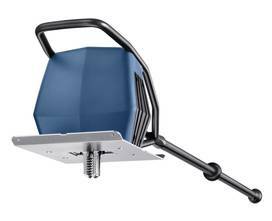 Please check out TRUMPF’s Trade-In Inititative for power tools. 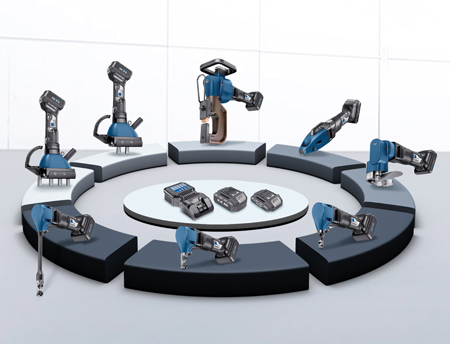 Please check out the TruTool DD 1010, TRUMPF’s new cordless drill, and other cordless power tools manufactured with high precision and TRUMPF’s outstanding quality standards. All batteries and chargers are interchangeable between these light weight machines. Please contact our office or one of our sales representative in your area for availability and pricing. 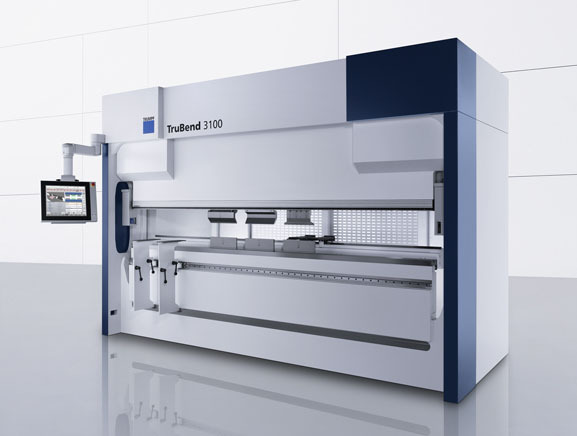 TRUMPF would like to invite you to participate in a live webinar demonstration of our newest press brake, the TruBend 3100. The newly-redesigned TruBend Series 3000 fits perfectly where precision bending is desired, but part complexity does not require the additional features of higher cost models. A newly designed “O” frame, tablet-style control and the latest generation safety system are just some of the new features that make the TruBend 3100 a great addition to any fabrication facility. Join us for a live webinar demonstration that shows the features and performance of this exciting new press brake. The demonstration should last about 30 minutes and will be followed by a question and answer session. 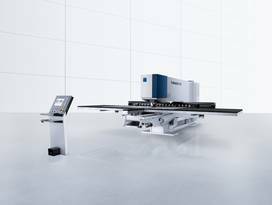 TRUMPF’s magazine “Masters of Sheet Metal” describes in an article the efficiency and great performance of the power tool TSC 100, called “the slat cleaner“.